Right now, it seems Sony is all about PlayStation VR. It's a game changer that everyone is looking forward to, but at CES 2016 Sony wasn't raving about it. Instead, it unveiled a lineup of tech focused on entertainment, including new TVs, speakers and a rather clever little projector. During its CES 2016 keynote Intel showcased the upcoming Yuneec Typhoon H drone that can avoid objects – such as trees – in real time using a spatially-aware Intel RealSense camera. We were shown a live demo of the drone following a mountain biker as they moved through a (fake) wood – it can react to obstacles as they occur in real-time. The drone will be available during the first half of this year for a cost of less than $2,000 USD. USB Type-C's promise is beginning to show. The new connectivity port has appeared on a portable monitor, the Asus MB169C+, for the first time. Quality of portable monitors has varied wildly in recent years, with many suffering from laggy input speeds and poor viewing angles due to their TN panels. It appears those days might be over if Asus' new 15-inch monitor is to go by. Unveiled at CES 2016, it uses an IPS display, which should at the very least provide acceptable viewing angles. SanDisk has used CES 2016 to announce the 1TB X400, a large-capacity SSD that's being made available to laptop makers for baking into future models. It offers enough space to store around 2 million 500K-sized photos, which is roughly the number of cat pictures on the internet. Gaming laptop maker Aorus has updated its X5 v5, X5S v5 and X7 Pro v5 gaming laptops with what it reckons is “the most advanced keyboard in the world”. Called the Fusion keyboard, it lets you customise the keyboard by lighting up different combinations of keys (with varying colours) depending on the game. New Balance (of stylish running shoe fame) has waded into the wearable technology segment by setting up a 'Digital Sport' division, aimed at developing wearable tech to improve athlete performance. There are very few details as yet, but the company has stated the first consumer product will be a smartwatch, which will launch in the 2016 holiday season. We can't wait to try it out! The only music system you'll need? Bang and Olufsen has announced the stunning new Beolab 35. The new speaker should be the only one you'll ever need - especially if you don't have enough room for the company's £53,000 BeoLab 90s. It's been designed to fill and entire room will well-balanced, wide-staged sound, wherever you place it. It's an independent system, with integrated access to TuneIn radio, Spotify and Deezer, as well as AirPlay, Bluetooth and DLNA. The BeoSound 35 features a touch-sensitive edge and OLED display which allows you to control the essential functions. The device will be available from mid-April with an RRP from £1,745. Venerable camera company Kodak had a surprise for the crowds at CES: a Super 8-style camera that has some modern-day trappings but still shoots on actual film. It's "merging analogue magic with digital convenience" the company says. When you're done with your old-school shooting you send your cartridges off to Kodak and get them back as digital copies or 8mm film suitable for a projector. Inspired or crazy? We don't know the price yet, but these throwbacks are coming later in 2016. As is traditional at CES, Samsung had a slew of new products to show off, including new rose gold and platinum colours for the Gear S2 (which will soon work with iOS too) and updated editions of its thin-and-light Notebook 9 series. On top of that there were new television sets - brighter, bolder and still curved - as well as an Ultra HD Blu-ray player ready for the format's arrival in the coming months. There was also time to show off a smart fridge that tells you when you're running out of milk. However, our favourite new product was the Galaxy TabPro S, a svelte-looking Windows 10 2-in-1 that takes on Microsoft's Surface Pro 4 and indeed the iPad Pro directly. With appealing specs, a bundled keyboard cover and a typically gorgeous Samsung Super AMOLED screen, it looks appealing - though the price has yet to be confirmed. Smartwatches of all descriptions are big news at CES this year, and Casio has outed its first timepiece running Android Wear. It's a customised version of the software though, putting running and navigation apps front and centre. From tide times to altitude, the WSD-F10 Smart Outdoor Watch gives you everything you could need to trek through the wilderness for a day or two. We're still awaiting pricing and availability for this chunky watch. Travel photographers will be interested in the new TZ80 (ZS60 in the US) and TZ100 (ZS100) digital cameras from Panasonic: compact cameras with big zoom capabilities and serious image quality upgrades. See our sister site TechRadar for the full story. Then there's Nikon, which has a new flagship DSLR to show off at this year's CES. The D5 offers a higher resolution (20.8 million pixels), faster shutter speeds, huge autofocus improvements and 4K video shooting. A mere £5,199.99 and it's yours, from March. Nikon wasn't finished there though, also unveiling a cheaper flagship D500 model and a new action camera in the form of the KeyMision 360. Capable of shooting both 4K footage and 360-degree video, it's taking on GoPro and virtual reality at the same time. It's shockproof, waterproof and looks nice and chunky, but beyond that we don't know the details of pricing and availability yet. For Huawei, CES 2016 was as much about raising its profile outside of China as it was about launching revolutionary new products, but it did have plenty of new kit to show off. Or rather, new variations of its existing kit. Try and keep up at the back: its flagship Mate 8 smartphone is launching worldwide (but not in the US) and promises top-tier specs with two-day battery life (we'll believe it when we see it). Its mid-range G8 phone is, however, heading to the US - but under the name GX8. Finally on the phone front, it's launching a new gold version of the Nexus 6P. Next there was a tablet, the MediaPad M2. With its 10.1-inch screen, accompanying stylus and business angle, this looks like a direct rival to the iPad Pro. Finally, we saw two new versions of the Huawei Watch designed to tempt the fashion-conscious: the Elegant and the Jewel. Both watches and the tablet are due to go on sale before April. Car giant Ford has been in attendance at CES too, announcing it will be putting three times the number of autonomous test vehicles on the road this year - according to Ford that means it has more self-driving cars in the pipeline than anyone else. The company has also teamed up with Chinese drone maker DJI to provide $100,000 in funding for the development of drone-to-vehicle technology - it wants to see new ideas for drones that can take off from and land on your bonnet. Out this spring, the $99.99 (roughly £68 or AU$140) Misfit Ray is the latest wearable tracker from the company recently acquired by Fossil. It does all the usual jobs but looks rather futuristic, and can be worn on a wristband or a necklace. Misfit also showed off some new headphones at CES: the Misfit Spectre headphones (no Bond link intended, apparently) connect up to Misfit trackers and the Misfit Link network of devices. As yet there's no pricing information. Televisions are always a big part of CES, and LG has been busy showing off some new 4K OLED models that stretch all the way up to 77 inches in size and are really, really thin. There's no game-changing new feature, just a picture that's better than ever, according to LG. There were several new partnerships to mention: LG is going to start selling TVs with Freeview Play built into them in the coming months, while both the advanced HDR and Dolby Vision enhancements are going to be supported too. The South Korean company also announced a new Signature brand that represents the pick of the bunch from its various product categories: that includes televisions, washing machines, fridges and other bits of LG gadgetry. The Fitbit Blaze is a "smarter fitness tracker"
Apparently we can't call it a smartwatch, no matter how much it looks like one, but the Blaze is Fitbit's latest, most intelligent and chunkiest-looking activity monitor yet. It's the first touchscreen, colour device Fitbit has put out. You get the usual fitness and sleep tracking capabilities, plus GPS and heart rate monitoring, and the quoted battery life is five days. The $199 (about £135/AU$280) gadget, on sale in March, shows mobile alerts too - but it's not a smartwatch, right? You can't pre-order the HTC Vive yet (it's due on sale in April) but developers have a new model to play around with: the Pre. HTC says the VR headset is more comfortable, more compact and produces a better-quality image. There's now a front-facing camera (opening up opportunities for augmented as well as virtual reality) and the controllers have been revamped too. It looks like Oculus won't have it all its own way in 2016. Under Armour makes a great fitness tracking app, but now it's added a box of hardware to the mix: the Healthbox features a fitness tracker, a connected scale and a heart rate monitor that fits around your chest, with everything feeding into the UA Record smartphone app. You can buy these gadgets independently, but the whole lot is going to set you back $400 (about £275/AU$560). Pre-orders are open now in the US. What you see above is the Varia Vision, a new augmented reality display headset from Garmin. It attaches to your sunglasses to bring you pertinent information - smartphone alerts, cycling stats, navigation data - without forcing you to take your eyes of the road. It should be available before the end of March for $399.99 (around £275 or AU$560). There are updates for Garmin's smartwatches too - the Fenix 3 gets the addition of an integrated heart rate monitor while the completely new Tactix Bravo multisport GPS watch looks like a serious bit of kit for runners and athletes. Both are launching in the first quarter of this year: the Fenix 3 HR for $599 (£410/AU$840) and the Tactix Bravo for $699 (£477/AU$980). Parrot has shown off a few of its latest projects at CES 2016, but the most interesting was the Disco drone, which departs from the conventional quad-copter design. Instead of four propellers, the Disco makes use of two wings and a single prop at the rear. Flying is essentially autonomous, just chuck it in the air and let auto-pilot do the rest. The French company also announced availability of the connected plant pot, which makes taking care of your plants as easy as... flying a drone. Just bought a shiny 4K telly for Christmas? We've got some bad news... LG has just revealed a production ready 8K TV. Don't worry though, this is not a television made for you and I, it measures 98-inches, and we expect the price to be northwards of $100,000 (pricing and availability is yet to be confirmed). LG also announced more accessible UHD televisions, offering both LED and OLED options. They will run an updated webOS 3.0 platform. There was also a futuristic rollable display, which could end up in our pockets in the near future. Aimed at professional photogs who want to preserve every single detail, the Phase One XF 100MP promises clean, noise-free images from ISO 50 all the way to ISO 12,800. The camera makes use of medium format CMOS sensor. It comes in at $48,990, but it'll run circles around your Sony A7 toting pals. Ever wanted to be more like David Hasselhoff? Of course you have! Volvo and Microsoft have teamed up to enable voice control via the Microsoft Band 2, so you can lock the doors, start the heater, set navigation, or sound the horn, all from a few voice commands before you even get in. The Withings Activite and Mondaine Helvetica Smart are very attractive step counters, but they're not perfect if you want to track proper workouts. Enter the iFit Executive HR, a swiss-made luxury watch, which counts steps, and measures your heart rate. We think it looks great. iFit also announced the NordicTrack Escape treadmill, which features a 60-inch curved OLED screen, allowing runners to pretend they're running somewhere exotic and picturesque, not a spare bedroom in Slough. The fridge is no longer a box for keeping food cool, it's a 'family-hub', according to Samsung. The company's new smart fridge features a large 21.5-inch vertical touchscreen, presumably allowing you to leave notes, make shopping lists, listen to music, order groceries, get weather forecasts. Nifty. We know everyone said 2015 would be the year of VR, but this time, 2016 really WILL be the year of VR. You'll be able to order Oculus Rift on January 6. The Oculus Rift price is $599 USD. Did you back Oculus Rift on its original Kickstarter? Well, you might be getting a free headset. The Tesla Model S is crazy-fast, but the design is a bit understated. If you want something a bit more brash, look no further than Faraday Future's FFZero1. Currently only in concept form, there's a smartphone dock in the steering wheel, digital displays in the place of mirrors and only space for one person. The company claims you'll be able to drive one in 2018. More connected kitchen gadgets, this time from Smarter. The company have released three new products, a camera for your fridge, mats which provide real-time readings of how much stuff you have left, and Detect, which transforms existing kitchen appliances into connected devices. All of these products are aimed at reducing waste and being more connected, which is always a good thing in T3's book. This new super-accurate thermometer from Withings can take up to 4,000 measurements in two seconds. It packs Wi-Fi and Bluetooth, allowing you to record the results on your smartphone. You can read more about it here. If you're in the mood for desktops, laptops, 2-in-1s and all-in-ones, most of the big names are expected in Las Vegas, including Samsung and Lenovo. We're going to get a closer look at the Acer Revo Build modular PC, HP has a curved Windows 10 all-in-one it would like you to fall in love with, and there should be plenty of other new hardware to see. Dell launched the rather nice XPS 13 at the same event last year so hopes are high that the famous computer builder will once again have a few surprises in store. Expect to see Windows 10 and the new USB Type-C standard just about everywhere you look, and there might be more hardware for Windows 10 Mobile in the pipeline as well. 2016 is set to be the year of virtual reality, with three major headsets - from HTC, Oculus and Sony - scheduled to go on sale. 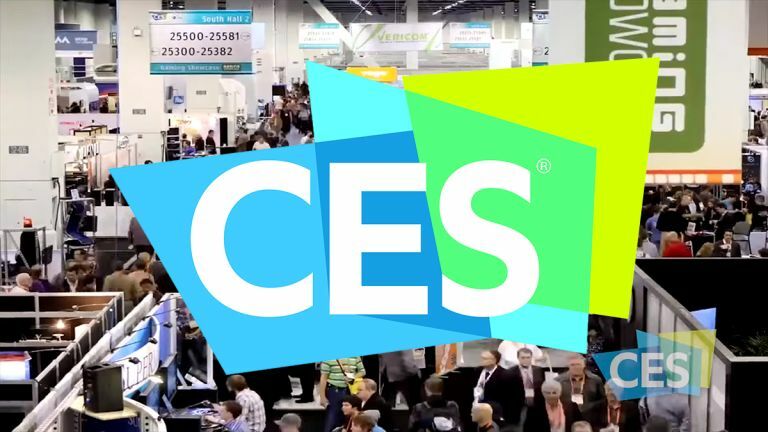 All three companies are going to be attending CES this year, so we're expecting to see plenty of hands-on demos and perhaps a release date or two? What we do know is HTC is showcasing a new dev version of the Vive at the event. With dozens of smaller companies getting involved in the VR revolution, there should be plenty of other related software and hardware to gawp at, including the Ricoh Theta S 360-degree camera - launched at IFA earlier this year, it's already been officially named as one of the best gadgets on show at CES 2016 a month before the event even starts. You don't need to be a tech expert to know that drones are some of the hottest gadgets at the moment and we should be seeing plenty in Las Vegas at the start of January. Manufacturers like DJI will be rubbing shoulders with the US Federal Aviation Administration (FAA) and we should hopefully see a batch of new products breaking cover. GoPro has just announced its first drone, called Karma, and the rumour is that the company will be showing it off in Las Vegas. Robotics continues to march ever closer to the mainstream too, and we might well see something more in this direction as the CES organisers try and broaden the scope of the show beyond fridges and phones. While the biggest smartphone news and launches are usually held back for Mobile World Congress in the spring, there should still be plenty of shiny new mobiles to peer and poke at in CES in January. Sony, LG, Asus, Huawei and others are all going to be present and correct and we're expecting news of new handsets from at least some of them. One of the pre-CES rumours doing the rounds is that Samsung is going to push its Galaxy S7 flagship out earlier normal - or maybe just tease it and save a full release for MWC. Next-generation processors from the likes of Qualcomm, Nvidia and Samsung are also expected to make an appearance before finding their way into your new phones. Autonomous vehicles have come on leaps and bounds in the last 12 months and self-driving cars should be front and centre at CES 2016. It sounds like Nvidia has something to show off in this area as well. There will be more car exhibition space than ever and the likes of BMW, Ford, Mercedes, Toyota, Hyundai, Volkswagen and Audi are going to be there, as well as the big players from the US - we suspect green engines, electric power and autonomous technology will be dominating the models that make it to the floors of the convention centres. A handful of smartwatches and fitness trackers are usually par for the course, so keep an eye out for those, as well as the usual glut of television sets from the major manufacturers: expect more 4K, more curved screens but no real innovation this time around. The best sets for 2016 should still be well worth checking out though. There will also be other gadgets of every shape and size being demoed in the hotels and casinos of Vegas: speakers, printers, scooters, innovative battery packs, smart home kit and more besides. Even Netflix has a slot booked at CES 2016, though we're not sure yet what we can expect to hear about it: more original content for the network, perhaps?